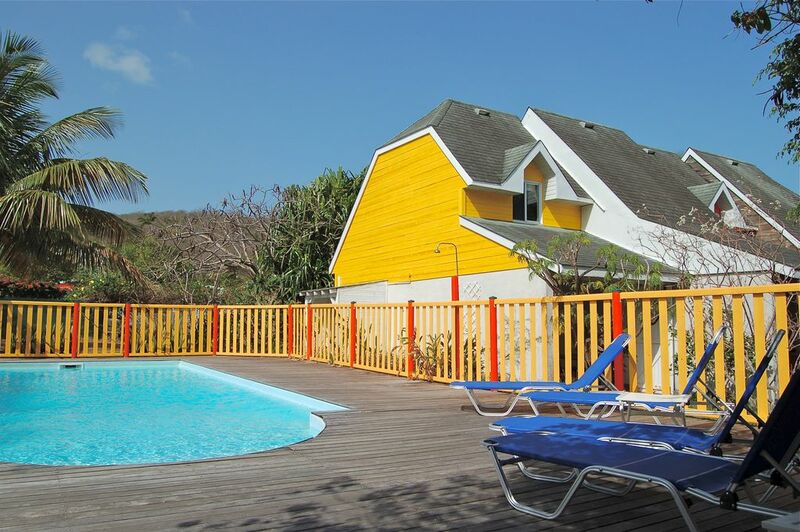 Welcome to Deshroses, little haven of calm and beauty in Guadeloupe. Located in Deshaies Basse Terre, in the foothills and 300 meters from the sea, we invite you to discover "the island of beautiful waters" otherwise. Eight comfortable cottages for 2-4 people and 5 apartments for 4-8 persons await lovers of nature, hiking and white sand for a stay under the sign of conviviality and well-being. For a carefree holiday, enjoy our lodging and car rental with free airport shuttle. Package cottage + car from € 499 per week for 2 people. The service was superb, what a treat to be met at the airport!, the property was well maintained, sweet, simple and more than sufficient. The bed was comfy, the kitchen well equipped, the grounds lovely, and the location superb. After a long day discovering the island we'd return to our little cottage, make cocktails and stroll over to the beach by the hotel to watch the sunset. We're already planning to return. Ideal als Basis zum Erkunden des nördlichen Teils der Basse Terre, super Strände in der Nähe. Netter Empfang und unkomplizierter Wäsche-Service. Thierry spricht sehr gut Englisch. Das Schlafzimmer ist im ersten Stock, lässt sich aber gut lüften, so dass wir ohne die vorhandene Klimaanlage schlafen konnten, Fenster sind mit Fliegengitter ausgestattet. Handtücher und Laken werden einmal in der Woche erneuert. Bäcker in 300m Entfernung. Thank you for your message. it was a pleasure to welcome you. Cordially. Thierry. Options: Ménage de fin de séjour: 30 € Blanchisserie linge personnel: 8€/machine (lavage et séchage) Connexion Wifi: 5€ pour le séjour. Climatisation dans le gîte: 20€/semaine. Service de livraison de pains et viennoiseries le matin (sur commande). Caution de 150 € par gîte à déposer le jour de l'arrivée (caution non encaissée et remise en fin de séjour si aucun dégât constaté).